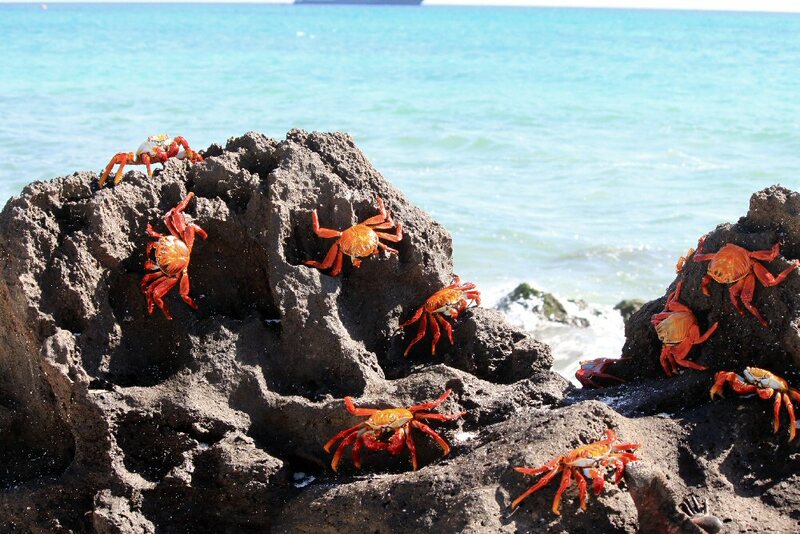 Espanola Island is the southernmost island of the Galapagos and at approximately 4 million years old, one of the oldest in the archipelago. Gardner Bay on the island’s north side, our morning destination, is one of the longest beaches in the Galapagos. We had been briefed the night before on how to do a wet landing—a lot less intimidating than it sounds. The zodiac pulled up to where its nose rested on the beach and we scooted toward the front, and when it was our turn, turned and swung both feet over the side (minus shoes) and slipped down into ankle deep water. Since this was a beach walk, most of us opted to keep our shoes off. I figured this was pedicure time as the sand would slough off winter’s calluses. 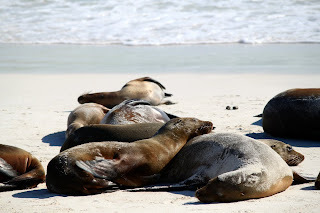 The zodiac had rested just between two groups of sea lions who were undisturbed by us. They lifted their heads and looked as if to say, “Hey guys, the tourists are here again.” Our group of 16 led by our naturalist, Alexis, dropped our snorkel gear for later on the upper beach and gathered for another reminder to not touch the wildlife and to not get between the sea and the sea lion who looked at the water as his escape route if he felt threatened. But wait! Someone forgot to tell the sea lions! 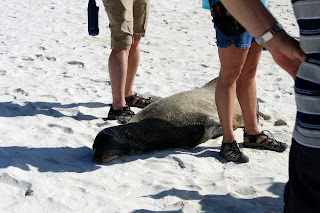 As we stood there one rather large sea lion ambled up and slid between the legs of a couple of us. So much for the 8 foot rule (stay 8 feet from the animals). Alexis explained seven different ways sea lions were different from seals the most obvious being that the sea lions have external flaps over their ears. 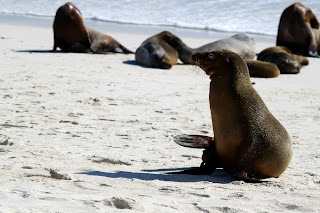 Galapagos sea lions are different than any other in the world and are only found here in the Galapagos Island or on Isla de la Plata, which is a small island just off the coast of Ecuador. The males can reach about 900 pounds when full grown and the females average about 244 pounds. Male sea lions declare their spot on the beach and fend off any other males to establish a harem of sorts. He mates with the females in his group, some of whom may already have a pup. The female is ready to mate again about two weeks after her pup is born. Young pups find their mothers and vice versa by the guttural sound they make. Then when they are in close proximity, the mother can smell the young one and recognize that it is hers. Only then will she allow the young pup to nurse. The pups nurse until they are about a year old—some longer if the mother allows it. Meanwhile, Papa sea lion patrols the water’s edge to be sure that the young pups don’t venture out too far and become dinner for any predators in the area—most specifically sharks. This is a group effort on the part of the males. They take turns patrolling and often go for long spells of time with no food to get the job done. 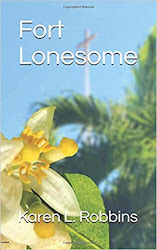 After a sufficient time without food, the males will congregate in what is called a bachelor colony while other males take over the guardianship. The bachelors use their off time to eat, rest, and soak up the sun. There is no rivalry here unless a female decides to enter in. Then it could be no holds barred. The pups in the family groups are of course the cutest. They curl up to sleep and are curious enough to want to venture up to you and look at you with their wide soft eyes. The eyes of the sea lion are special in that tears are produced to protect them more from the elements. Perhaps that’s why they look so vulnerable. As we walked down the beach, I could see an area that looked speckled with black objects. I thought at first it was a larger colony of sea lions but the nearer we got, the more I realized it was an outcropping of lava rocks. 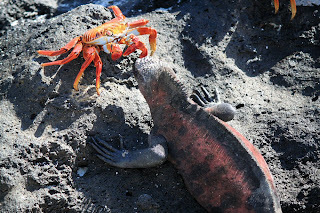 Suddenly, as we neared one large one, wet from the sea, we could see bright orange colored Sally Light Foot crabs climbing all over it and between them, a host of marine iguanas. The iguanas are vegetarians and the crabs, scavengers, so they got along just fine. The colors of the crabs were phenomenal. 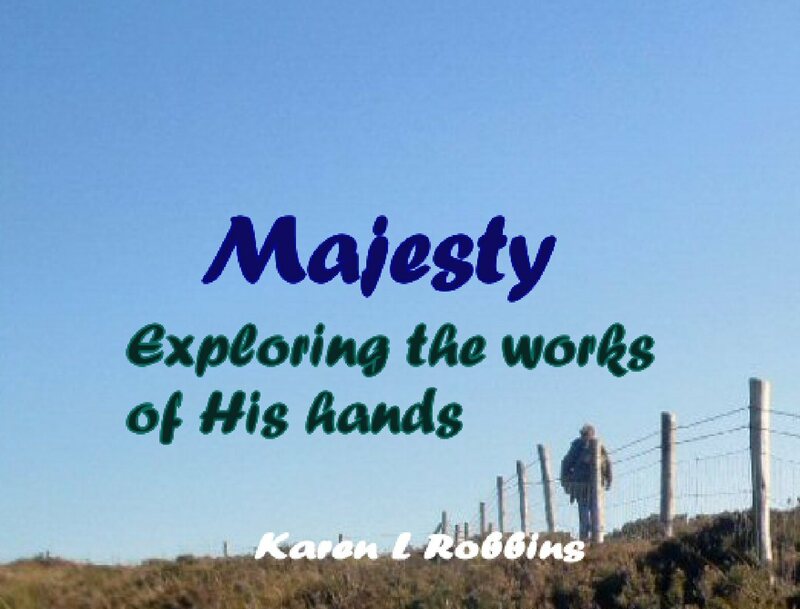 There were fine lines of yellow mixed into the orange and blues and turquoise. Patterns emerged in their coloration as you examined them closer. Alexis mentioned something about how they got the name Sally Lightfoot but there was no way to take notes and by the time I got back, I'd forgotten. Of course with Alexis' sense of humor it may have been just a funny comment. The marine iguanas were not what I call a beautiful animal but then beauty is in the eye of the beholder. There were some red tones on their backs that reminded me of molten volcanic lava running between and under lava that has cooled. Perhaps that made them indicative of the Galapagos Islands since the islands are all born of volcanoes. 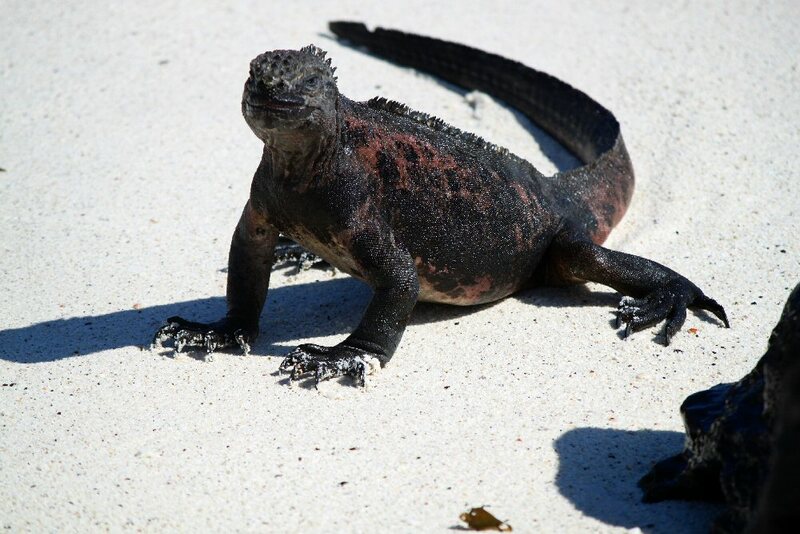 The iguanas have huge sharp claws which enable them to climb the slippery rocks and cliffs on some of the islands. They eat algae off the rocks in the water tearing and scraping it off with their sharp teeth. They were very benign creatures just mostly basking in the sun. As they swam in the water they used their tails much like a crocodile or alligator does to propel them along. When our walk was done, we donned our dive skins and wet suits and wandered between the sea lions to the water. Unfortunately, the surge and the waves did not make for good snorkeling. The water was clouded with sand and particles kicked up by the wave action. We saw some fish but they were more like shadows. Disappointed, we gave up and opted for a return to the ship. Watching all those sea lions lolling in the sun had made us tired too. A hop and a twist to pull our feet over the side of the zodiac and it wasn’t long before we were on our way back for lunch aboard the Xpedition. The crew was ready for us and the food and pampering was much appreciated.